Pivotal Capital has been providing financing for non-owner occupied CA properties since 2011. Their rates start at 8% with loan amount ranging from $150,000 to $20+ Million. They can lend up to 90% LTP and 80% ARV, and they can fund loans within 5-14 days. They are rated 5 stars based on 2 Facebook reviews. 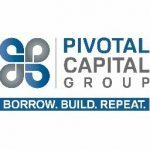 Work For Pivotal Capital Group II, LLC? Claim This Page.